In a world that demands forward-looking fashion without sacrificing sustainability, Honey Rose & K does just that. Vintage has always inspired Piccin, as did her grandmother and the businesses’s namesake, Honey Rosenkranz. Piccin was a solo-riding entrepreneur until she recently launched her team, which is comprised of Jenny Dingle, Director of Sales; Jacqueline Olson, Trunk Keeper; and Pam Pyles, Photography from Pieces of You Photography. Honey Rose & K has gained some press from the likes of Oprah Magazine, People, Elle, InStyle, and more as they began to offer international shipping. “It’s been very exciting but our focus remains the same: great customer service and unique eco-chic pieces that are one-of-a-kind,” she adds. Recently, Honey Rose & K launched their BEE campaign, which is designed to spread a special message. “You can follow our #thebeemessage on Instagram to see what others are sharing in a positive light,” says Piccin. 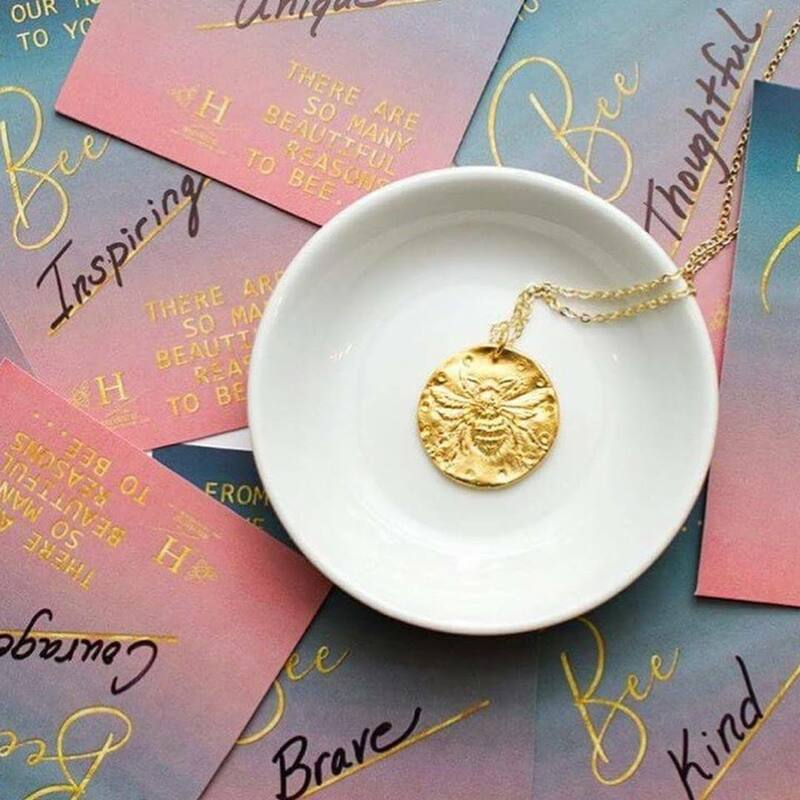 Each necklace in the BEE Campaign comes with a card and our customers tag us with what they want to share. To learn more about the necklaces and cards from the BEE Campaign, click here. Learn more about Honey Rose & K Jewelry, visit www.honeyrosenk.com. You can also follow along on Instagram and Facebook.